Technikraft first adopted its Environmental Policy in 2004. The commitment we made at that time was to review and update the policy on a regular basis. That is why our statement has been revised and expanded continuously to reflect the progress we have made since 2004 and to take into account new areas of focus. 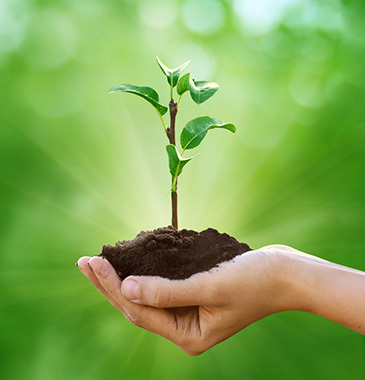 At Technikraft we see sound and responsible environmental management as an integral part of achieving our goal to grow the value of our business for our shareholders. - Conduct our business in compliance with environmental laws and with our guidelines, which set global standards for our operations. - Maintain systems to manage our environmental responsibilities. - Set clear targets for continuous improvement and monitor these targets to ensure that they are met. - Establish and enable employee accountability for our environmental performance. - Strive to prevent pollution and to minimise the environmental costs and impacts of our global operations. - Assess the impact of new operations and products and seek ways to contribute positively to their environmental performance. - Train and motivate our employees to understand their environmental responsibilities and to actively support our environmental programmes. - Work with our supply chain and business partners to improve our collective environmental performance, to protect the ecosystems that provide our raw materials and to minimise the impacts from transportation. - Communicate openly with our shareholders, employees, customers and other interested parties by regularly reporting on our commitments and our progress towards meeting them. - Review and update this policy regularly.